Click on the photos to make them even more impressive. Now you see what its architect Adrian Smith and I were talking about in our fine wide-ranging conversation. 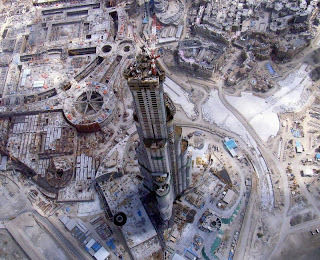 Burj Dubai. And the beautiful thing is, apparently by building in the desert, it doesn’t block anything by Mies! Adrian is on my radio show, Hello Beautiful! this week. They do have Chicago developers courting them, one for a project near Bertrand Goldberg’s River City, it would bring the river into the courtyards of the building and create new marinas with public access! It’d be a very “green” project with wind turbines and the like. Another possible project in Chicago would also be a tower on the river. 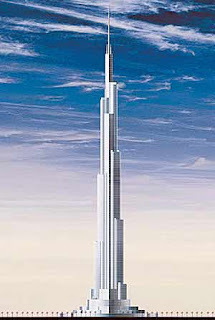 And they’re designing a tower near their inspired Burj Dubai tower. 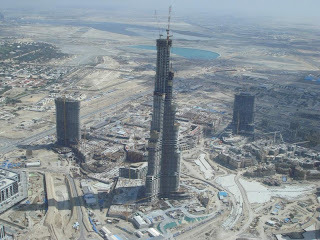 About 70 stories. Low for them! 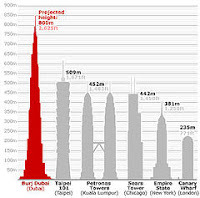 Burj Dubai of course will be about 160 stories. Their website Smithgill.com will launch within weeks. It’s thick, comprehensive and includes his thoughts on the processes of winning commissions, designing and building. Plus his thoughts on sustainability, contextualism and much more. And get this, in the interview he convinces me that there’s much to look forward to in his rising, rising ever rising Trump Tower Chicago! But even Adrian says he wishes the glass were slightly different, and that he had specified better glass. Trump saved about $2 million and Adrian and the rest of us have to settle for what we get. 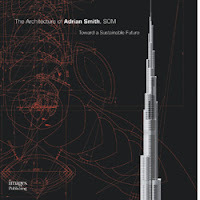 I very much enjoyed my talk with Adrian Smith. And looking through the new book, you wonder from where comes such prodigious talent for sensitive design. 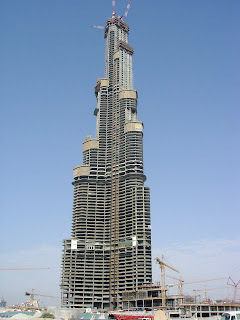 You are currently browsing the archives for the Burj Dubai category.